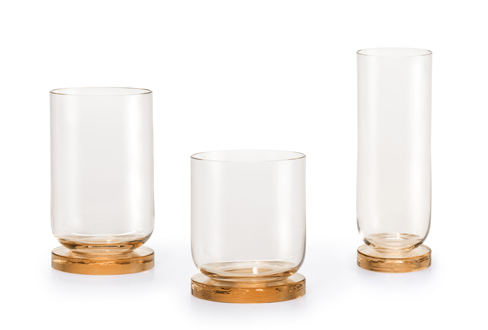 Trilogie is a collection of drinking glasses for von Poschinger Glasmanufaktur from Bavaria. 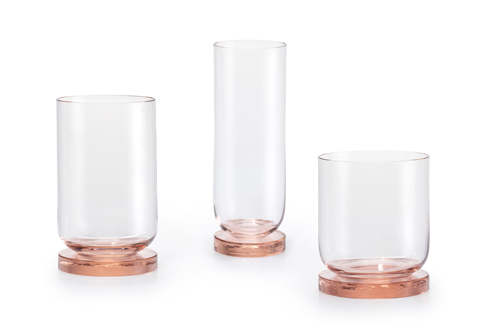 Working already for 450 years in glass blowing in various fields, the company approached the studio to design three different glasses, one for whisky or wine, one for water and the last one for champagne. The design is driven by various techniques of shaping glass. 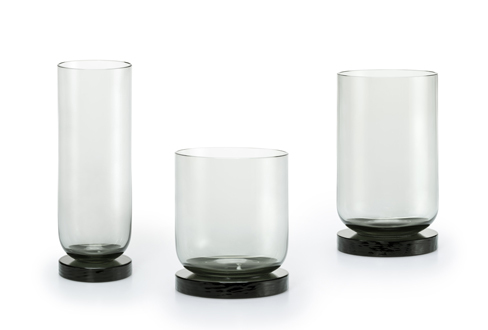 The base of the glass collection is casted like a solid disc, otherwise the top is blown very thin. The blown volumne is balancing on the bold disc.